You may have seen the announcement for Marvel Pinball: Avengers Chronicles a few weeks ago, but it just so happens we have something extra special in store for PlayStation fans – Zen Pinball 2 is on the way, packed full of new features and all sorts of awesome bonuses, and it will release in conjunction with the new Marvel pack! We have been listening to all of your feedback and have included many, many of your ideas into what is our most advanced and sophisticated pinball platform yet! There has been strong focus on keeping the community together, bringing all of your pinball tables under one roof, and then connecting the games across PS3 and Vita. If you are a pinball fan, this will be the ultimate pinball experience on PlayStation! So, how will all of this work if you have purchased Zen Pinball or Marvel Pinball and any DLC? It’s going to be super easy! When Zen Pinball 2 releases, you will simply need to download and install a game update, and your game will be updated FREE of charge. All of your tables will appear in one location, they will have received updated ball physics and graphics, new trophies and a much deeper social experience including in game notifications, friend challenges and even posting scores to Facebook. This free update is our way of saying THANK YOU for supporting Zen Studios and allowing us to continue work on the game we love so much. For those of you who are new to the game, Zen Pinball 2 will be a free platform download with trials available for every table. Simply download Zen Pinball 2, and you will have access to an amazing library of pinball tables including the brand new Marvel Pinball: Avengers Chronicles pack, featuring tables based on Marvel’s ‘The Avengers’ Movie, ‘World War Hulk,’ ‘Fear Itself,’ and ‘The Infinity Gauntlet.’ Here is a glimpse of the brand new, redesigned Zen Pinball 2 dashboard, showing how the tables will be presented. I know you are all wondering about cross platform purchases. We are happy to announce that all content purchased for Zen Pinball 2 will playable on PlayStation 3 and PS Vita at no extra charge! You can enjoy the game at home on the couch and then take it with you on the go without having to pay twice. There are a bunch of new features available in Zen Pinball 2, such as in game scoring notifications, friend challenges, posting scores to Facebook and amazing stereoscopic 3D. We have spent serious time perfecting this game and polishing every little aspect! When you add it all up, there will be TWENTY SIX different pinball tables available day one for Zen Pinball 2! We will continue to support the game with regular DLC, and we have new brands that we are developing tables around, including a pinball table based on one of PopCap’s most popular franchises, and we have a ton of ideas for original designs. Thanks for three fantastic years of support for Zen Pinball! We are looking forward to the next chapter with Zen Pinball 2. That’s what we were looking for! Your excitement has us all fist pumping. will the PSV version of the game have an option to play the game with the PSV being held vertically? 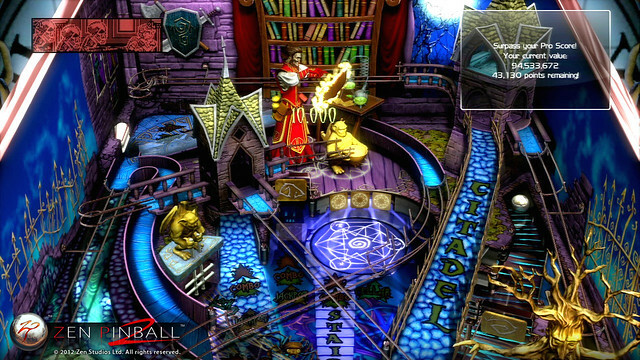 the Pinball Dreams and Pinball Fantasies Minis introduced to the idea of playing pinball games vertically. i even play treasures of montezuma vertically, seriously people try it. Yes, you will be able to play with the Vita held vertically (portrait mode). This sounds great. Can you clarify a couple things. If I have Zen, Marvel and several DLC tables already, I will be able to play all tables in one location? Also, you mention all games purchased for Zen 2 will be playable on Vita. Does this mean all tables I have already purchased will be playable on Vita or only new ones going forward? Looking forward to the new interface and features! Yes! All of your current Zen Pinball and Marvel Pinball tables will be playable within Zen Pinball 2. You will simply need to download and install the update. ALL Zen Pinball tables you have ever purchased, and any you purchase in the future will be playable on PS Vita at no extra charge! NOW THIS IS CUSTOMER SERVICE!! It’s nice to know that all those tables i bought for Zen Pinball and Marvel Pinball will finally be all under one roof for me to choose from. I had always wonder if they would some how make this possible, and low and behold they do. This is something you can not beat! These pinball games are really worth it, and now theres no reason not to be a fan! Thanks for the kind words! We are so happy to make this happen for everyone. I’m very excited for this! I’m a huge fan of Marvel Pinball and Zen Pinball. Will you be able to map the flipper buttons to buttons other than the R1/L1 R2/L2 triggers? Not sure about button mapping just yet. We will see if we can fit that in – will keep you posted! You can also control the flipper from the front or rear touch panels as well. Normally wouldn’t have much interest in this. However seeing a company respect its customers and not re-charging them for DLC ad also allowing them to play on both systems (PS3 and Vita) for one price means I’m going to support them and get this and multiple tables as soon as it launches. People should really support companies like this! Sweeet! One of many, MANY reasons why I love Zen and will continue to support (and play) your games. This certainly made my day. I’m curious if I’ll be able to play my own music on the Marvel tables now, like with the other tables? Or is that a Marvel thing? Also, the Popcap tease has got me all giddy. Yes, you will be able to play your own music. Working with PopCap has been one of the coolest experiences. These guys are fun, creative and passionate. We are lucky to be working with such amazing partners! If we have Marvel Pinball base set that we got free as a PS+ subscriber, will these import as well? I have bought all tables on another platform due to the under one roof idea, but also bought Zen Pinball 1 and the Ninja Gaiden table. Yes! 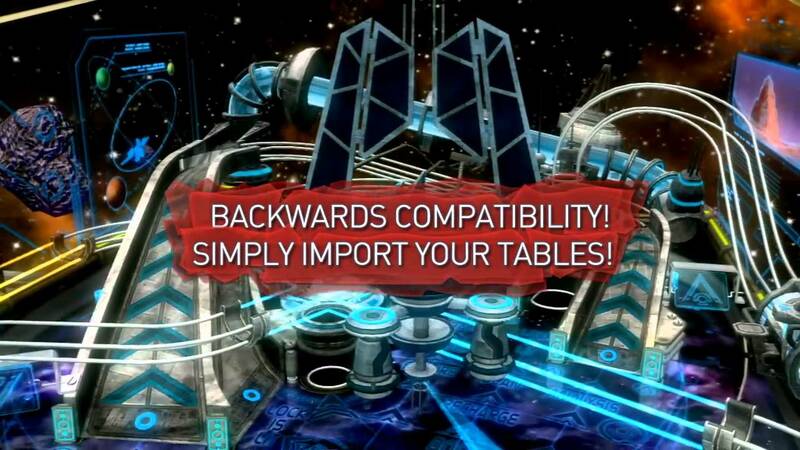 Any tables you have purchased or downloaded, whether from PS Plus or otherwise will import. The EU release will be the same product / features as NA. Just wanted to say thank you as I had these games on the PS3 pretty much since day 1. I love the games and play them every so often….so close to real pinball. Glad I won’t have to re purchase them. I don’t know what to say. What you guys have done is a model that the rest of the industry should follow. I can’t think of any sequel that was not only free to previous owners of the game, but also let them bring in their existing content AND gave them another platform to play it on…all for free. You guys have earned so much respect from me. Thank you for treating us so well. As a way to thank you, I’m going to buy all the DLC I can for your game because you guys deserve every cent you can get from me. Zen Pinball is incredible, and the fact that you guys are making this easy to play all of your content under one interface is a great way to pay back the fans that support you. I will make sure I purchase every single table you make just to support developers like you. Take note Sony, we need more developers like this! Thanks! It’s so exciting to see everyone’s reaction to this announcement! This…looks…awesome! Thank you for your dedication to the franchise and its fan. The best just got better! This seems like the perfect type of game that should have some type of editor. Any plans on creating some sort of table editor/designer? We have thought long and hard about it. It’s something we would like to do if we ever find time. Zsolt…send a huge “THANK YOU” and uncomfortable hugs to everyone on the team over at Zen. This is music to my ears. Cross platform gameplay and DLC support? You all rock like hurricanes! Seriously! Question though, if I’m playing on both PS3/PSV, are they populating the same Trophy list, or do each version get their own set of Trophies. The reason I ask is I’d be far more keen on keeping my pinball tables portable while freeing up some space on my PS3. Thanks again for the amazing news. This is MEGATON in scale! The trophy list is the same on both PS3 and Vita, but you will need to unlock them separately on each system. past and new zen pinball on my vita…. i´m speechless….just THANK YOU! Got a question for you. Will there be separate trophies for the PS3 than the Vita? It seems that these are two different platforms, even though you are doing us the solid of a 2 for 1 purchase. I don’t know how shared trophies would work, since you can’t see Vita trophies on the PS3. Just wanted to clear that up, since it hasn’t been addressed before. THANK YOU THANK YOU THANK YOU !!! I haven’t played a pinball game in AGES and this is really getting me excited. 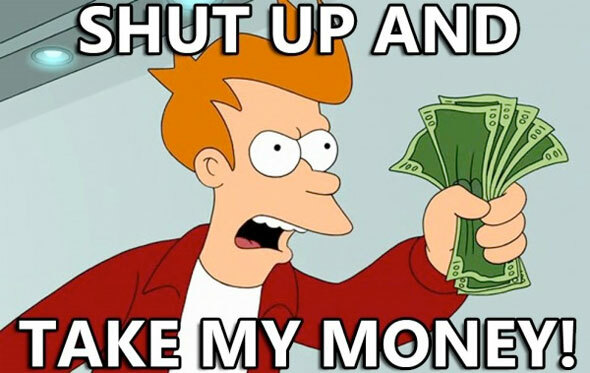 Will we be able to buy the tables from Marvel Pinball and Zen Pinball 1? I want to get the very most out of this as I can. :) Really looking forward to this. Yes, you will be able to buy the entire library if you want. There will still be collection packs and individual DLC’s, as well as brand new stuff! Now the question is, do you get this weeks Pinball Arcade (which i was excited for) or wait for ZP2? We are happy to see pinball making a comeback! And, those old tables from the arcade days is one of the big reasons we make pinball. Happy to see them live on! If you have played motorstorm RC every trophy i unlock on the vita when i open the game on the PS3 the trophy then automatically unlocks from there. It appears separately though when looking at the trophy screen from the vita. Fantastic news! You guys make great pinball. And THANK YOU for the 3D support. Seems like a perfect fit for pinball! Pinball in 3D is awesome. I was skeptical at first, but it is truly awesome and it makes the game feel brand new all over again. So let me get this straight. I have Marvel Pinball (I got from PS Plus). Will this be updated to Zen Pinball 2 for Free? If so that is awesome news. I may even purchase some extra non-marvel tables if this is the case. Yes! That is the case:) Enjoy! I’m still hoping for a Batman table. But it’s still good to hear awesome news from you guys. Outstanding!! I have all the tables for both games and I got a Vita , Can’t wait and thanks for this and all the hard work guys . Other dev’s should take notice . Yes, we have always thought that PC would make most sense for an editor, and it might be painful to try and build a table with limited console controls. We’ll see if we can ever get it done! May I just say how AWESOME it is that more developers are doing the “two platforms, one purchase” thing? It’s fantastic and adds so much value to the Vita (and the Vita was valuable to begin with)! Thank you so much for making this game (1) AMAZING and (2) portable AND (3) affordable in multiple forms. YOU GUYS ROCK!! I will be buying this on DAY ONE! One question; Do you know at this point if you will be offering any special pricing or bundling for PS+ members? At this moment we do not have any bundle pricing set for launch time. We will keep you updated. Zen pinball is one of my favorite and most sacred PS3 games, same for the marvel tables, i buy ALL of your DLCs and games, day one, without asking or without even checking the content before. Now you give me this ?, tranfering all my tables to a new game and making them Vita compatible ?, i almost feel bad for not giving you more money, you guys are the best. Thanks. We like to support those who support us. Very few developers get to keep working on a game for so long. Because all of you have supported us, we are happy to give a little back! It will be pretty simple – you will simply download the update and everything will take care of itself. No need to delete anything. Sounds like Zen Pinball 2’s release would be a good time to put the previous ZP/MP tables on sale. Any chance of that happening in the near future? @21 Personally, I intend to grab Pinball Arcade on day one because they’re not only a great company, but they seem to be following Zen’s excellent example, which I want to support. I’m excited for both Zen and PA so I’ll be on top of both. There is always room for more pinball on my PS3! No need to choose between the two. I really like the attitude of all the flipperheads, ZEN Studios, and Farsight on here. More tables across both engines is what we all need! Though money can be an issue for all of us, I always save my quarters for any good pinball engines out there. Sooo, do you get the Vita version if you buy the ps3 version.. or are they separate purchases? 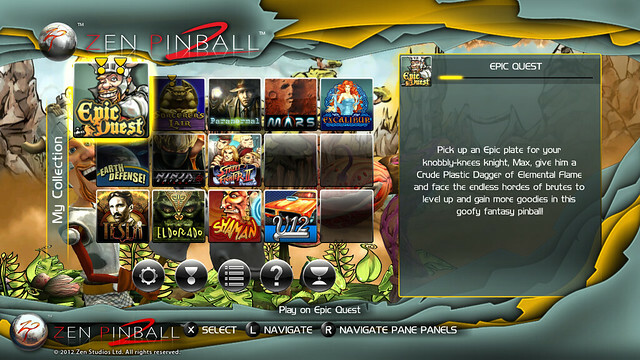 Any content you buy for Zen Pinball whether on PS3 or on Vita will be playable on both screens at no additional charge. Buy it once, get it on both systems! Date (or at least month)? We are shooting for May 2012. The price for packs will still be $9.99, individual DLC will be $2.49 – $2.99. Awesome! I’m really intrigued by the in-game challenge mode. Is that one on one (side by side) multiplayer? Yes, the side by side you saw is local split screen multiplayer (on PS3 of course). Its a good time to be a Pinball fan! I’ll be getting both Zen 2 and Pinball Arcade! it helps to read a blog post before just posting your questions, which was answered in the post itself…. I’m excited to play this as I’ve rediscovered I still like pinball games after getting Marvel Pinball for free. More trophies and more tables would be nice though! I need variety in general, in life. Would be cool to see a table dedicated to music lovers and something exclusive to Sony, like Killzone. You can always bug your favorite companies for us:) Tell them you want a pinball table! You can also post your ideas to us on Twitter and Facebook – we takes these requests seriously and review all of them. I am totally sold on Zen Pinball not only is it 2 platforms 1 price but its also backwards compatible for any and all future DLC as well. This is a Day 1 Buy for me and I will definetly buy the DLC, there is so many I’ll prolly start with Avengers, can you recommend any Zsolt? I’ve always been skeptical about 3D pinball, not any more though. Thank you to Zen Studios!! Truley this a business model I hope they prosper in. I honestly can’t wait to play Zen Pinball on both my PS3 and PSVita. How many table do I get for these 10 bucks ? The packs come with 4 tables each, and currently there are three separate packs available – Zen Pinball Collection, Marvel Pinball, and Marvel Pinball Vengeance and Virtue. The Avengers Chronicles pack will release the same day as Zen Pinball 2. @41 ah, I think I get it now… the application/game will be free with a charge with unlocks for everything.